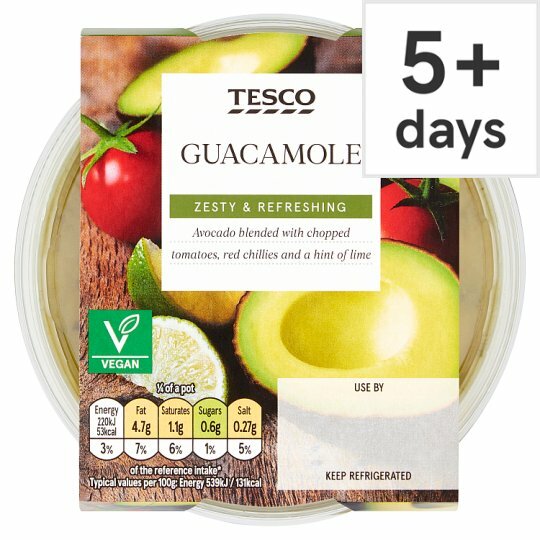 A blend of avocado with cream, tomato, coriander and chilli. Keep refrigerated. Once opened, keep refrigerated and consume within 1 day and by 'use by' date shown.